For nearly four decades, Terry and Judy Cattron, along with a staff that’s just as passionate about the business as they are, have been offering advice to eager customers on how they can improve their homes. 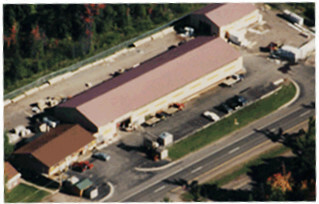 We have a long history of providing customers with what they need. Evidence of our world-class service dates back to January 1, 1980 when Terry and Judy Cattron bought Neely’s Lumber & Supply Co. from Mr. Ray Neely. 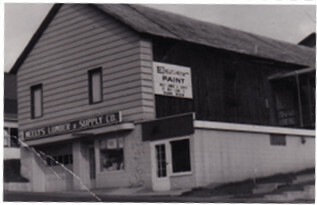 The business, located at 317 W. Clark St. in downtown Negaunee at the time, was renamed Cattron’s Lumber & Supply. Cattron’s remained at that location for 11 more years, until the move was made to the former Hi-Lo Club location on US Hwy 41 East. The purchase of that property allowed for remodeling and expansion as one of the first drive-through warehouses in the area. On January 1st 2018, Terry and Judy Cattron sold Cattron’s Lumber to their daughter Alissa and her husband Kurt. Together Kurt and Alissa Chaudier, along with their staff, will continue to provide the same sales and service that customers have come to expect and appreciate. At Cattron’s Lumber, we understand that home is where the heart is. That is why we keep our heart in the core of what we do here. Ready to renovate your space? In the process of building your dream home? Call us today to find out how we can help: (906) 475-9953.